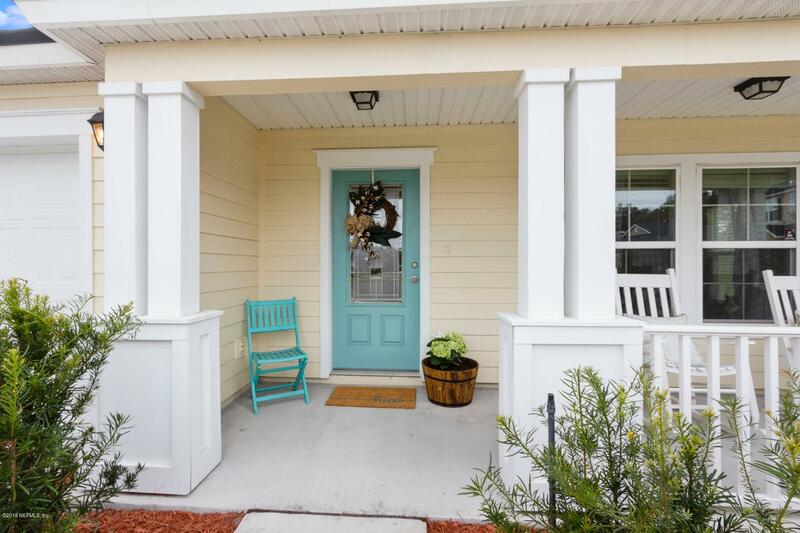 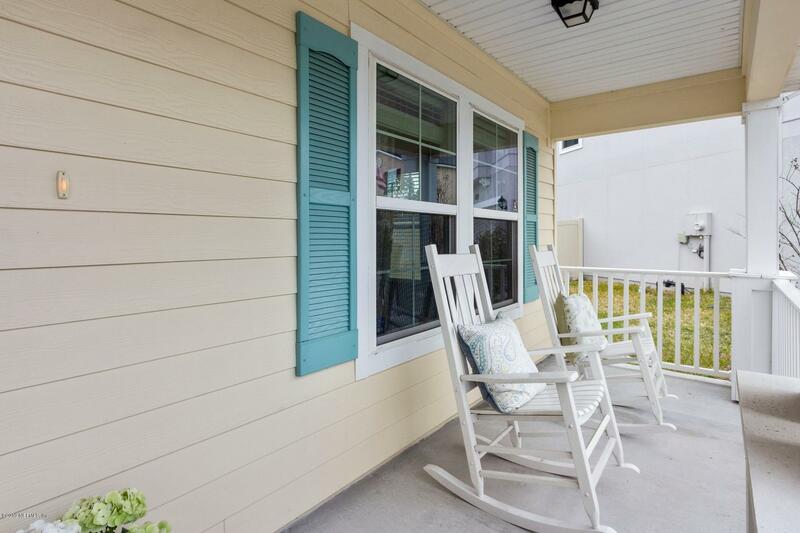 Coastal Cottage with charming front porch! 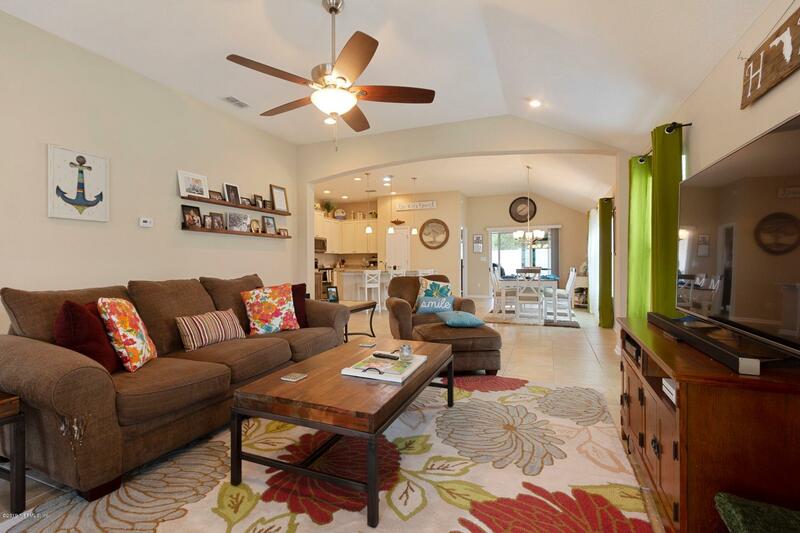 The Heron floor plan is one of DR Horton's best open concept living spaces. 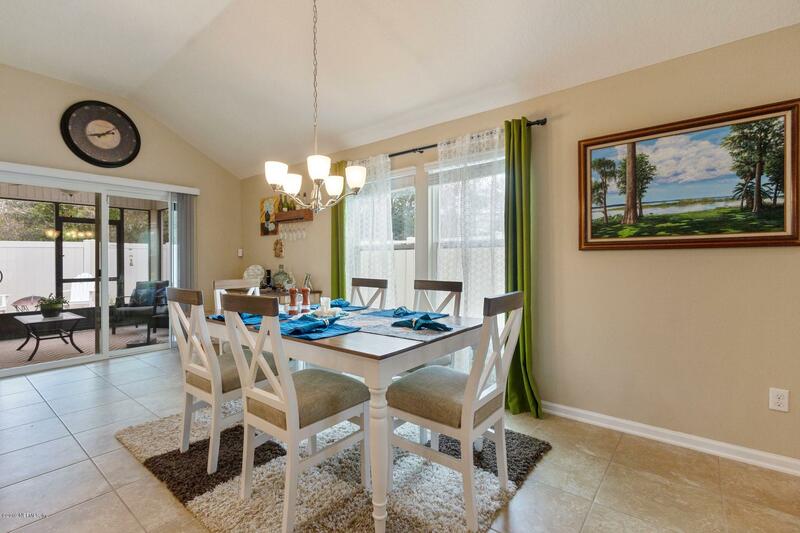 Ideal for entertaining a big crowd or just a cozy family dinner. 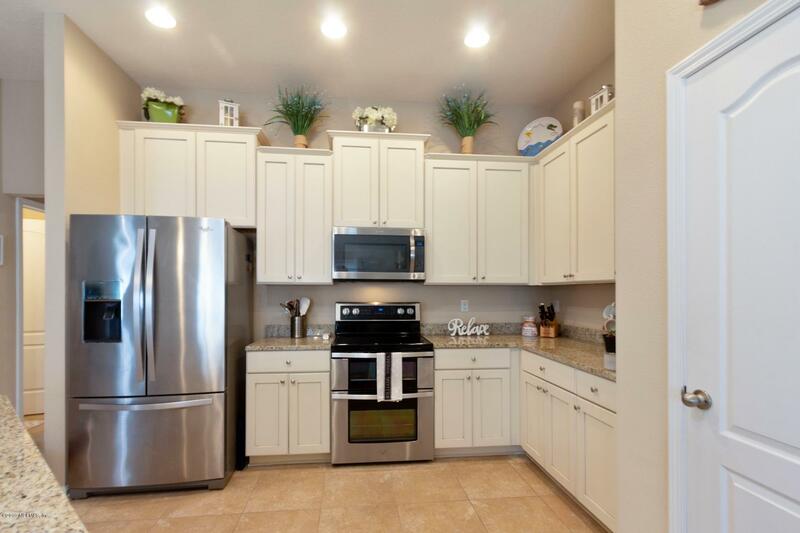 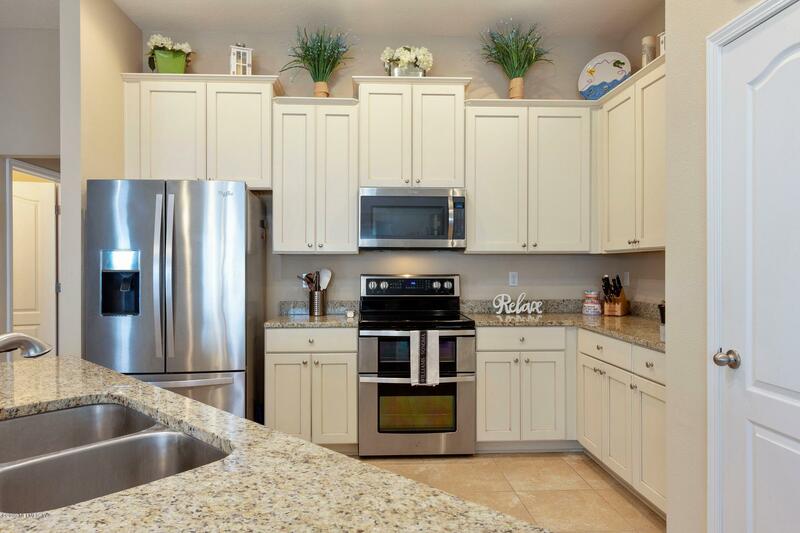 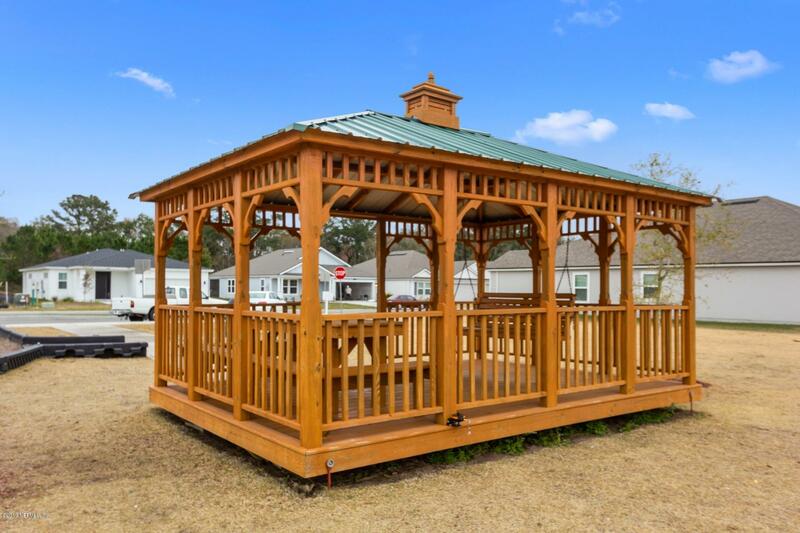 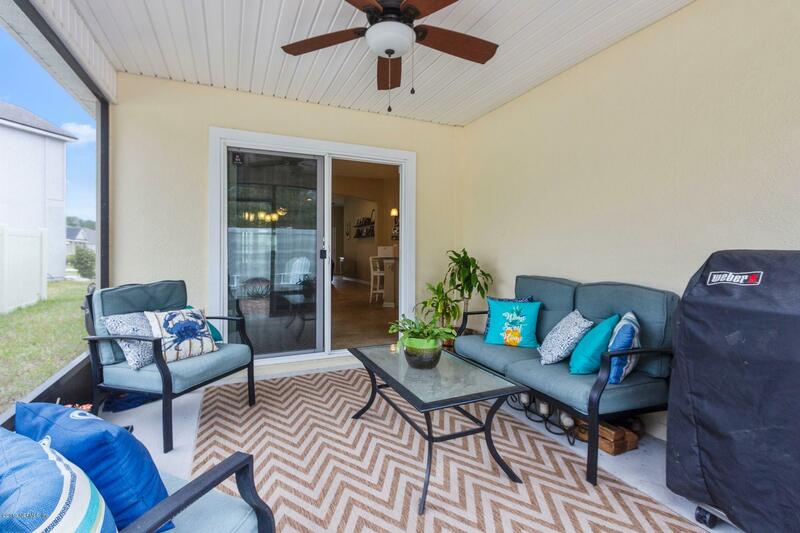 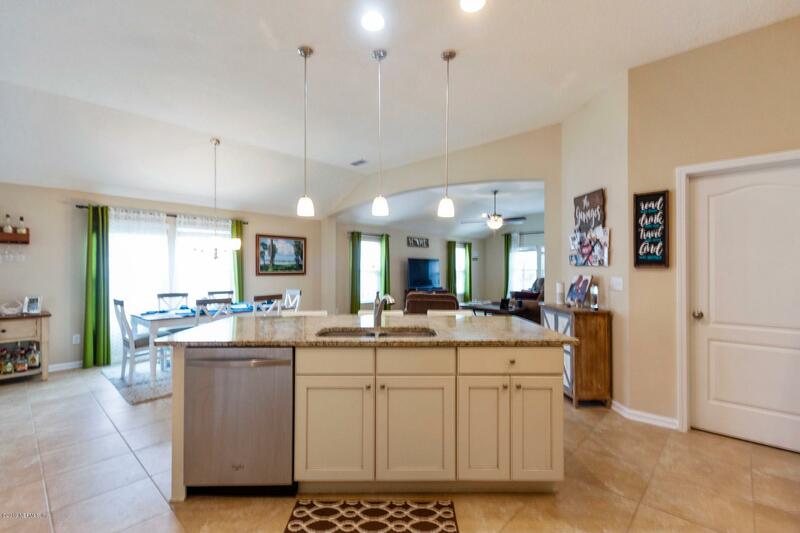 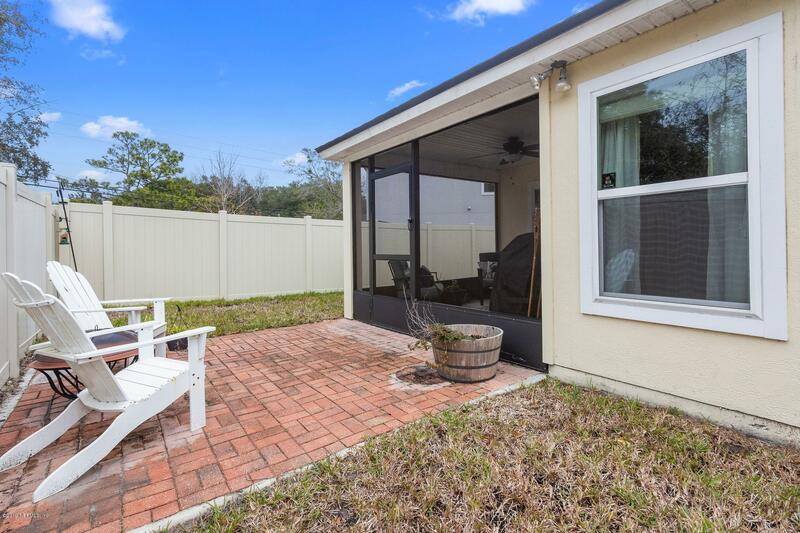 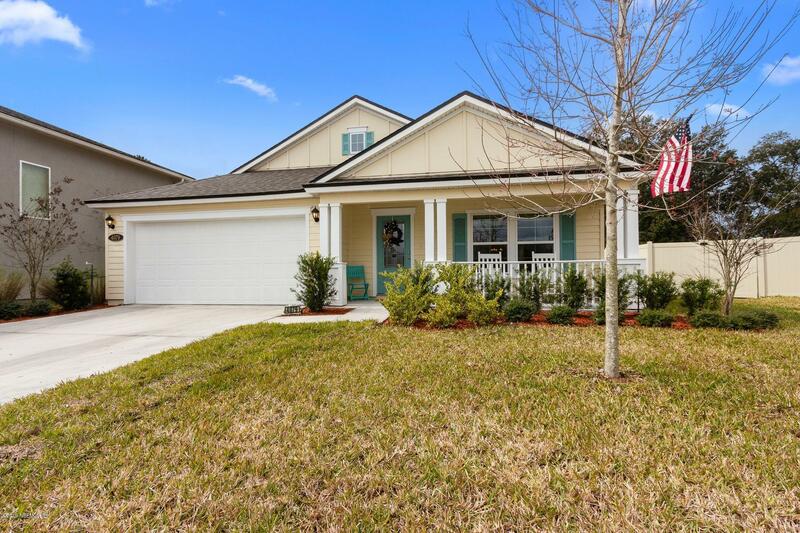 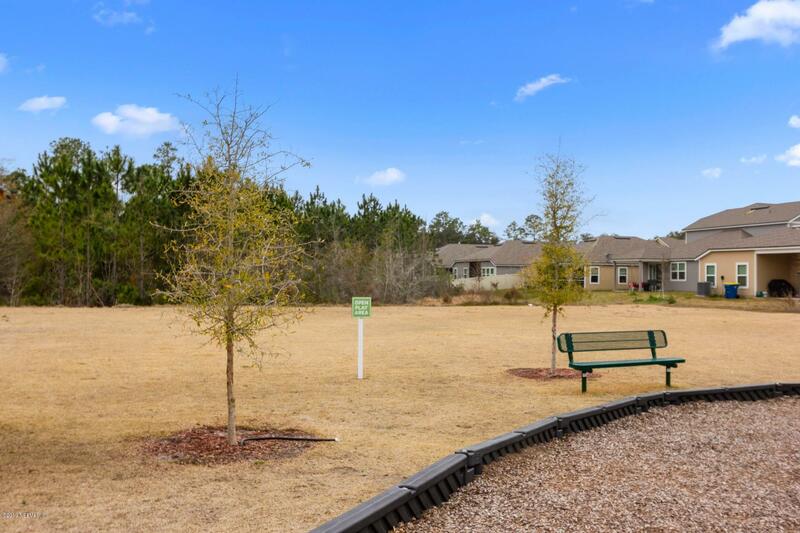 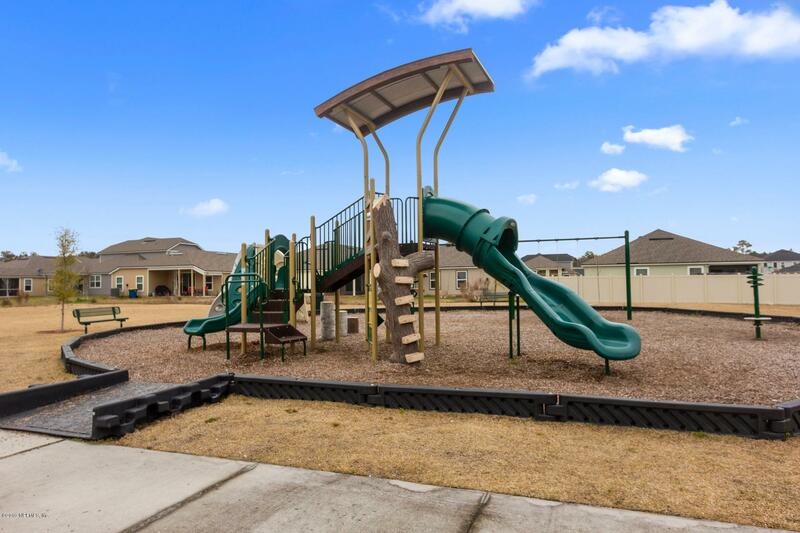 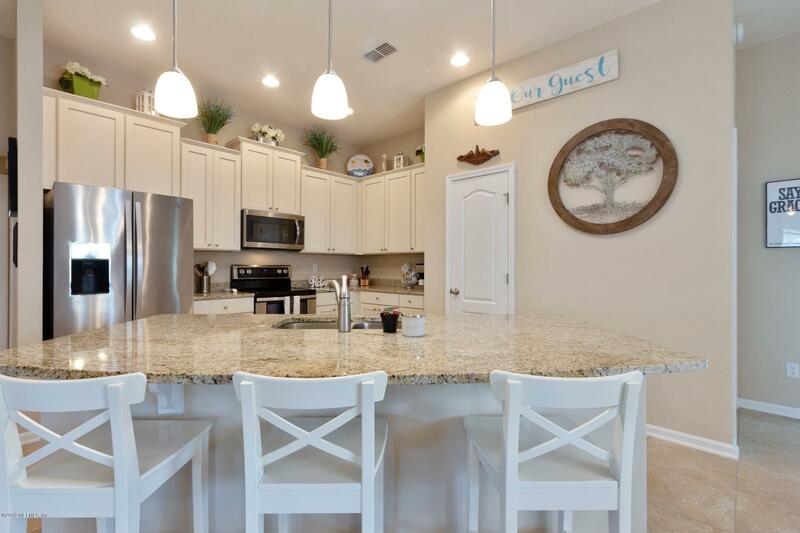 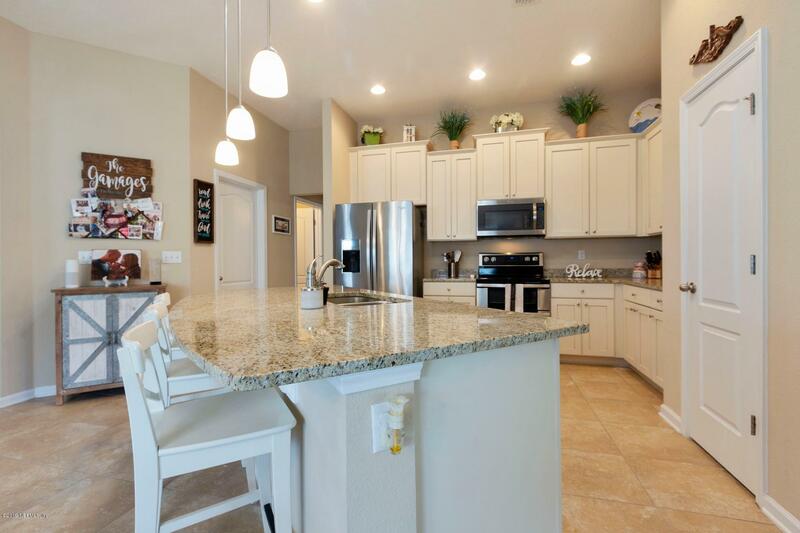 ENJOY GREAT UPGRADES - including deluxe kitchen w/ stainless appliances - double oven range & French Door refrigerator w/ bottom freezer, granite counters, full overly painted cabinets with crown molding, nickel hardware and a large island with bar stool seating. 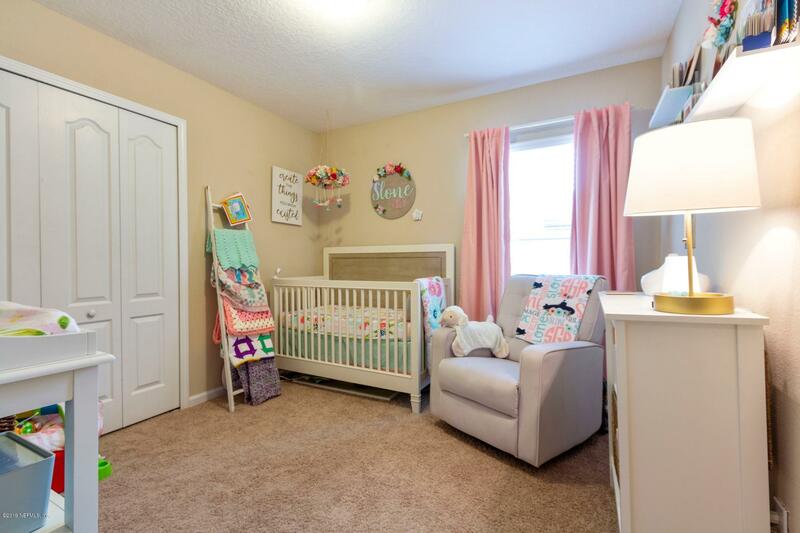 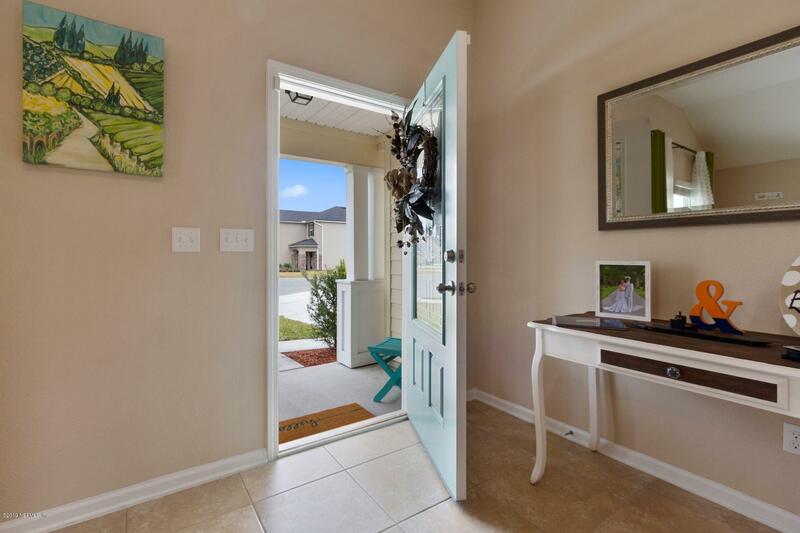 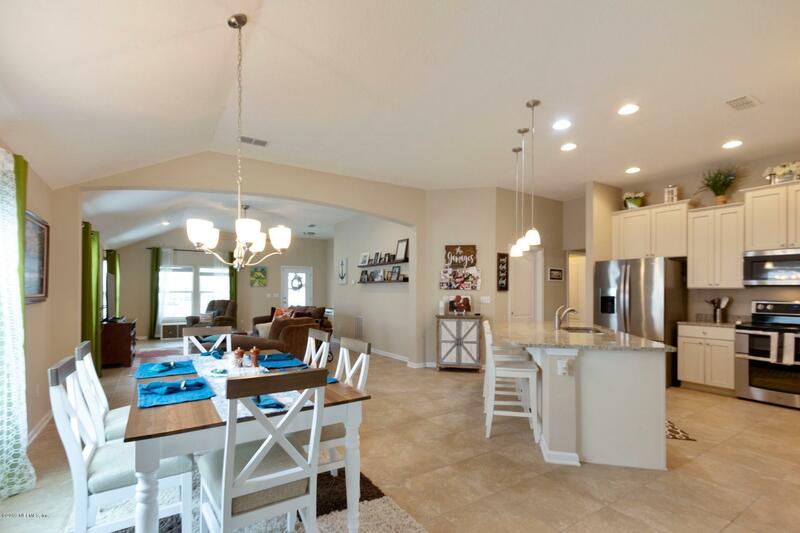 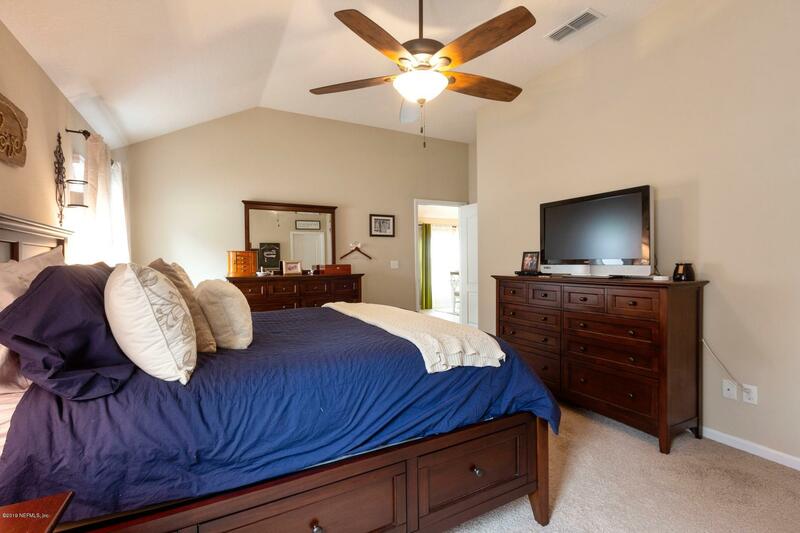 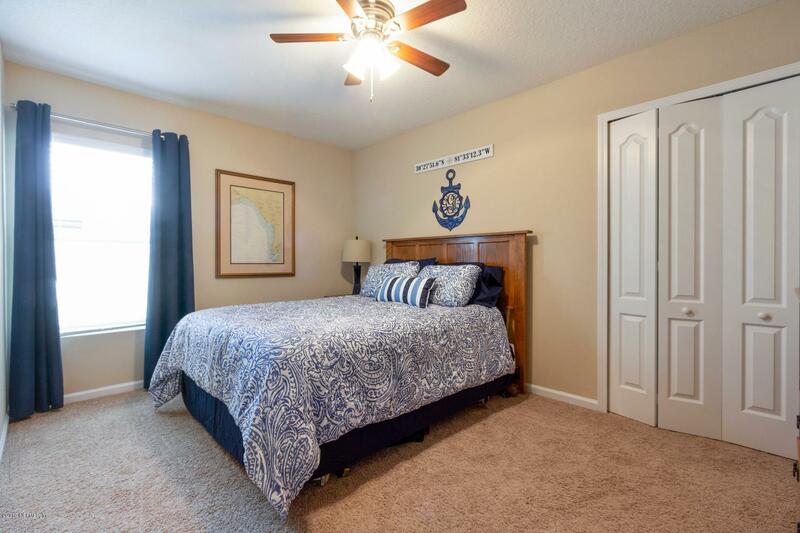 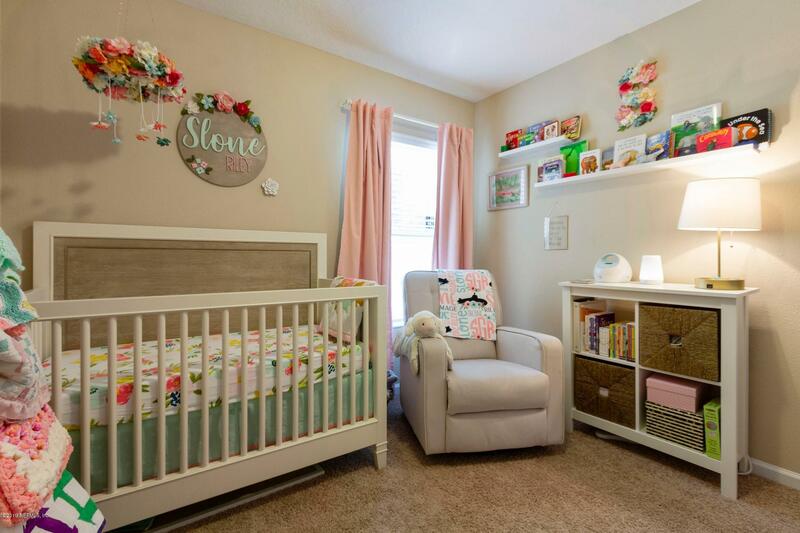 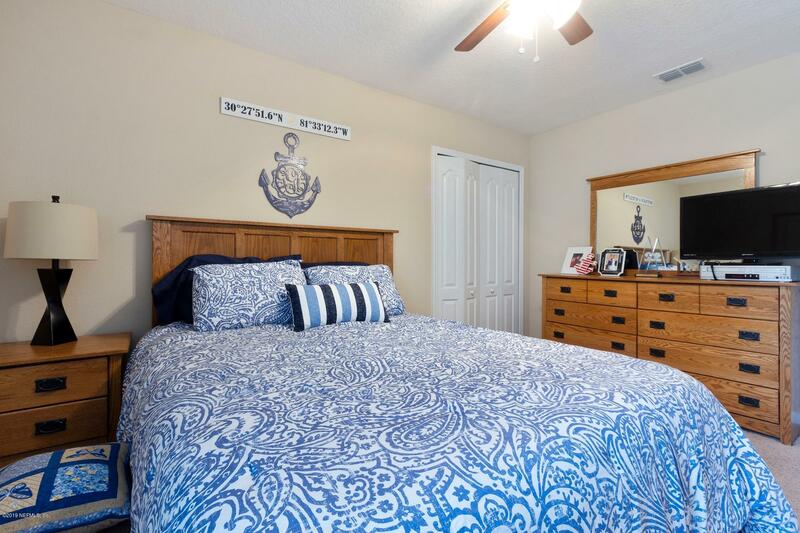 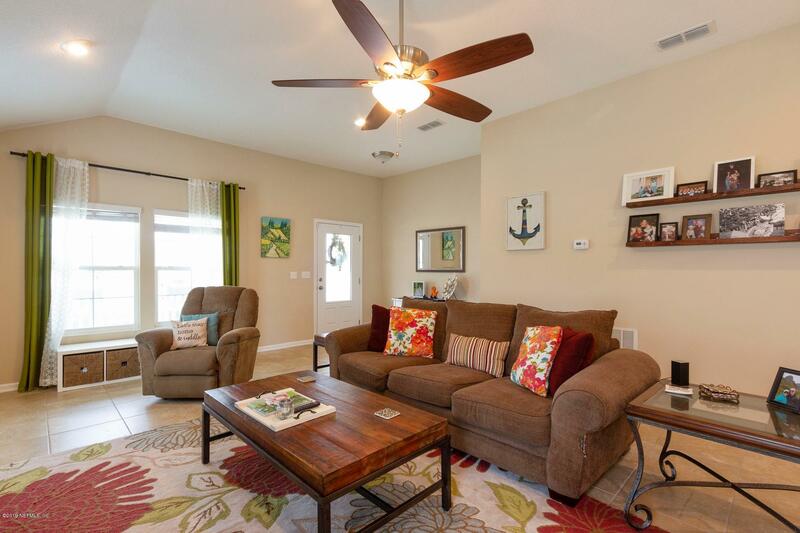 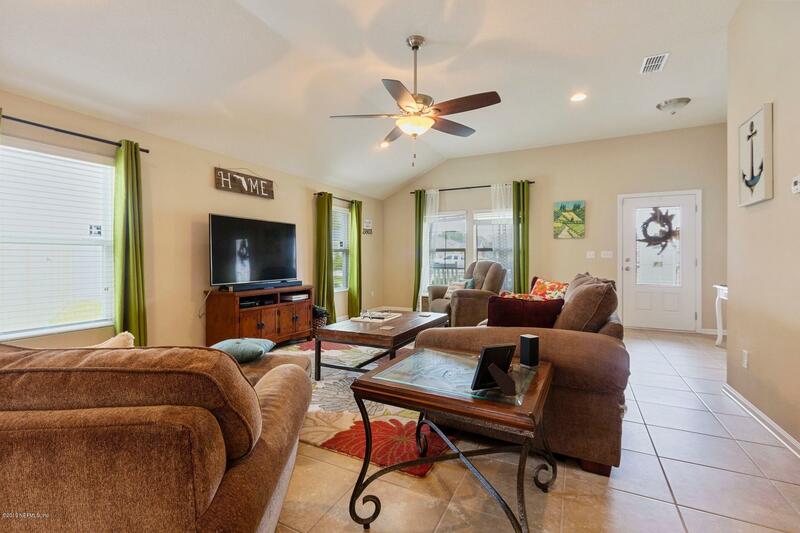 18'' tile flooring throughout the living space, 2'' blinds & upgraded lighting. 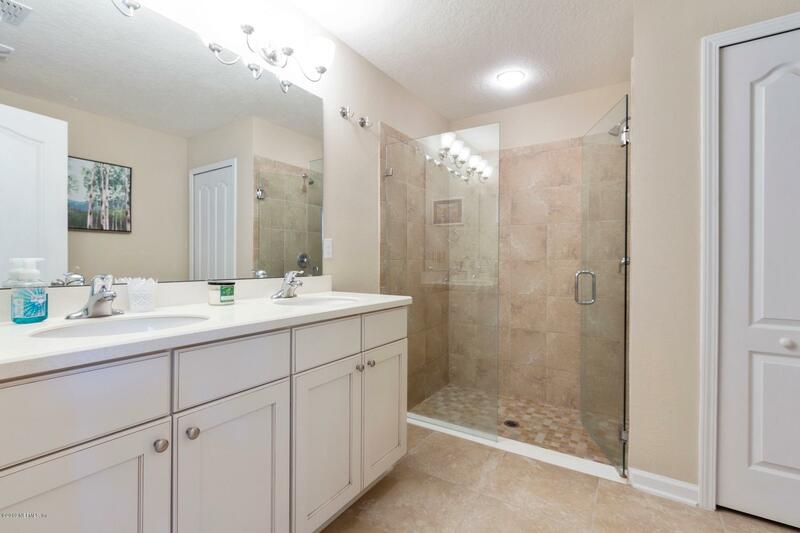 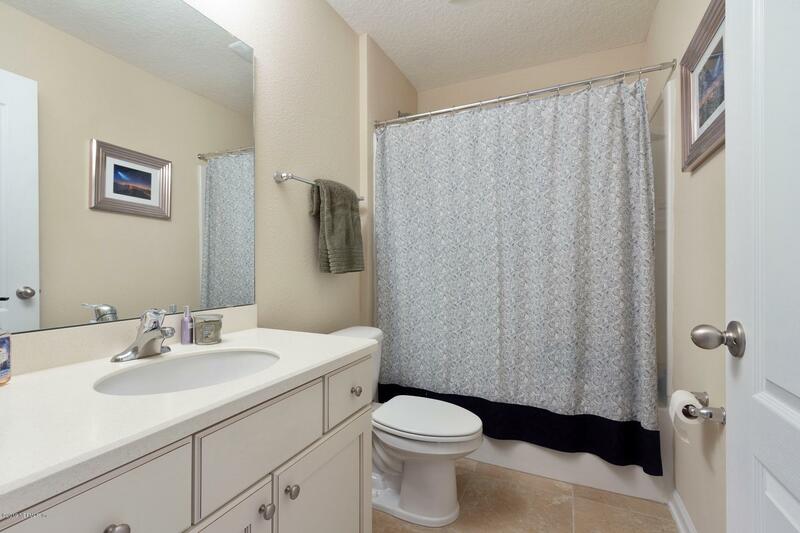 The Owner's bath has a large tiled shower and double sink raised height vanity. 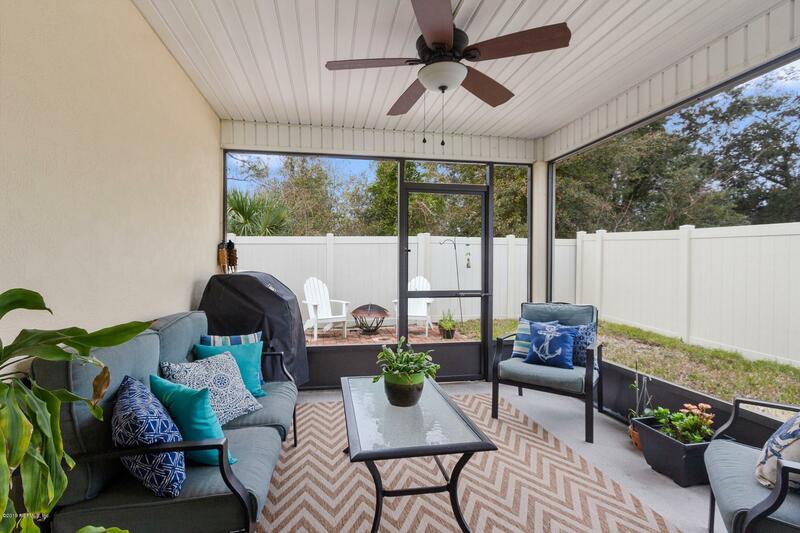 Enjoy the beautiful Florida weather on the screened patio or extended paver patio. 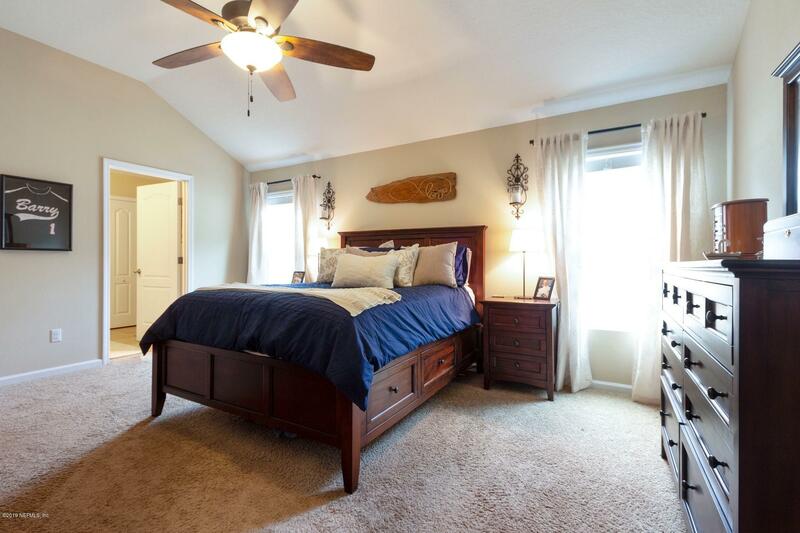 Garage has attic flooring for extra storage. 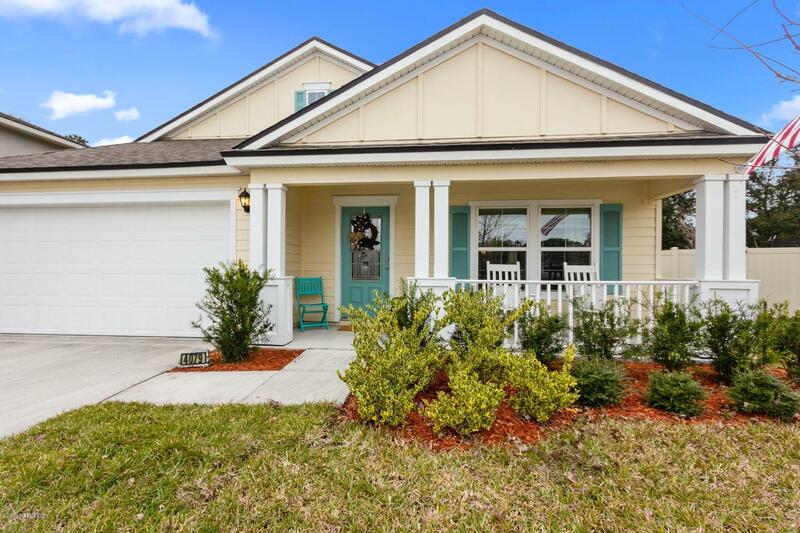 A Quick commute to Mayport & Kings Bay. 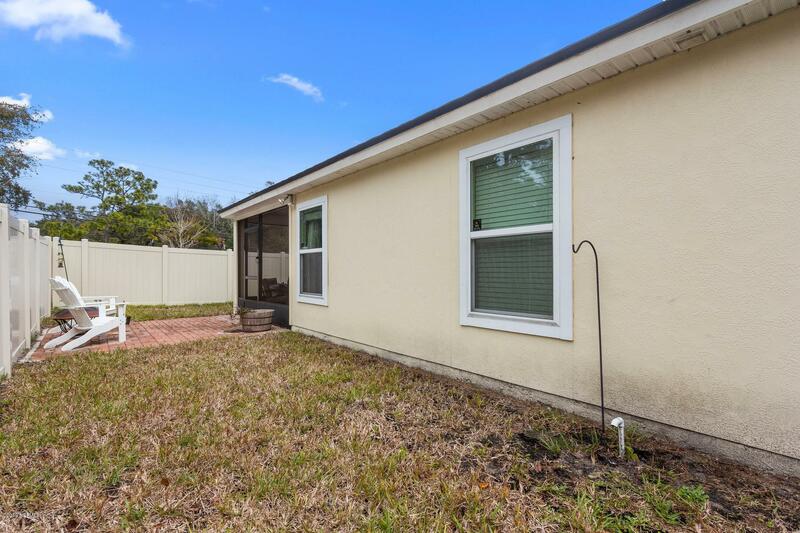  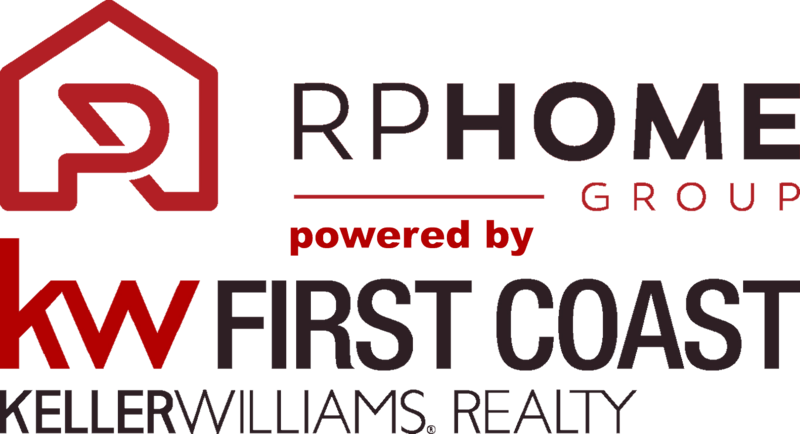 Low HOA and No CDD!